An accident backs up I-84 eastbound traffic in Danbury on March 18, 2019. 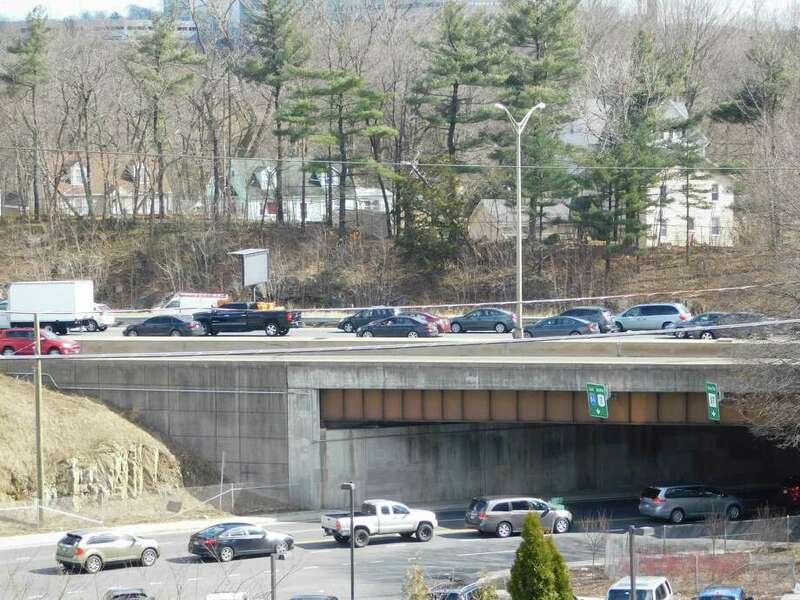 DANBURY — Eastbound traffic on I-84 was backed up Monday afternoon following an accident with injuries between Exits 6 and 7. Emergency personnel responded to the crash involving a truck and Mercedes-Benz around 2:19 p.m. Upon arrival, fire and emergency medical services (EMS) units found that the collision had sent the Mercedes into a jersey barrier, and that the occupant needed help getting out. Left and middle lanes near the scene were blocked off as firefighters worked on extricating the individual, which they managed to do using specialty tools by 2:39 p.m.
EMS transported the person to the Danbury Hospital emergency room.